I recently had the pleasure of helping a buyer purchase their first home in Raleigh on Karen Court. 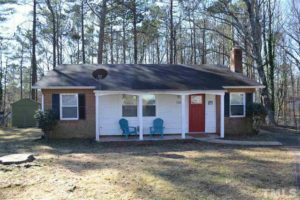 This beautiful and well-maintained ranch home had lots of updates including new flooring throughout, new interior paint, new door hardware, a new front exterior door, and more. The home had been completely renovated in late 2011 and also included a storage shed. It was right in my client’s budget and in the exact location that she wanted. One important thing to remember is that the cost of a real estate agent is typically covered by the seller, so when you are the buyer, this service is often free for you. The market is hot right now and homes are going fast. You need a real estate professional on your side and I would love to help you. Contact me today at 919-961-3277.